Let’s make a Megadungeon! Add hype here! As I do before any major undertaking, I want to remind myself of the criteria for creating this: 1) Does the content provide an interesting choice giving the players agency? 2) Am I following the rules of dungeoncraft? 3) Does it show the uniqueness of the campaign world? On count 1, decisions in this dungeon need to be more interesting than “do we go left or right?” The players must be provided different choices that both compete for resources. If we’re truly going to start at the beginning, I also need to know why the players would want to go into a megadungeon. It won’t solely be for xp. Nearly any square that has some content in it will provide this. Exploration? That also is ubiquitous, until everything in and around Haven is discovered. 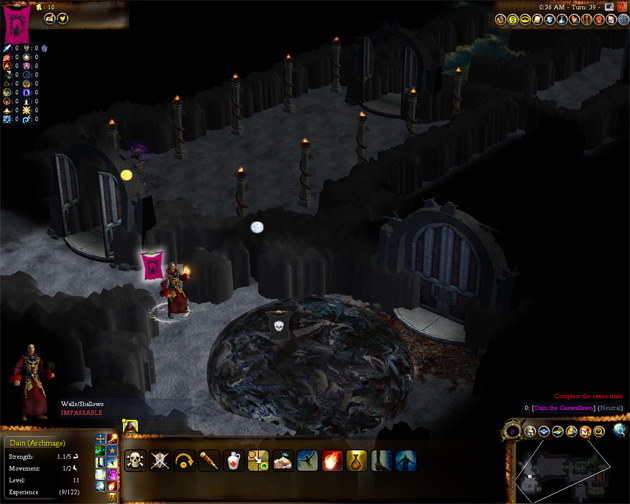 Relying on this point could cause the megadungeon to be left alone for many sessions or passed by entirely. Mystery? Same reasoning as exploration. Who knows which mystery will grab the players attention. Treasure? Yep, that works. I’m pretty stingy in handing out treasure, so having a place the players know is ripe with loot is the main attraction. Never force yourself to create more than you must. Whenever you design a major piece of the campaign world, always devise at least one secret related to that piece. Whenever you have no idea what the probability of success should be for a particular situation, consider it 50%. Always challenge both the players and their characters. Once a roll has been made and you have moved on, don’t change the past in order to correct a mistake. Rule one, check. I promise to not spend ten hours developing the ecology of the dungeon, detailing how one species evolved and why others declined. Nor will I write up a detailed history of each faction during the Age of Ice until now. Rule two, check. The secret is: Many of the world’s dungeons and underground cave systems were not only created by the dwarves in ages past, but the survivors of the Rain of Fire and the Age of Ice. The survivors of this region were once the citizens who lived in Leucetios’ fiefdom, and his many experiments. Rule three and five don’t really apply here, but four and six do. This means from here on I need to keep the following in mind while building this monstrous dungeon: Criteria 3) show the uniqueness of the campaign world, plus Dungeoncraft Rules 4 & 6. I want more for this place than just, “You found a megadungeon.” The players are going to have to earn entrance. That means after they find this place they still have to unravel a mystery to enter. Clues will be dropped at the entrances in the two square locations in B3 and C3, but also in Haven itself. Leucetios’ tower seems like a good place, too (knowing my players, I have a feeling the tower will be their first stop). A nice benefit of dropping clues over a couple of quests will be getting to foreshadow the megadungeon. Second, I need to introduce time limits on the players in more than just game structure. The Alexandrian’s Dungeon Escape mechanics will see use here, but there is his advice about making game structures less of an abstraction and giving them an in-game interface for the players. I’m going to think on this one.